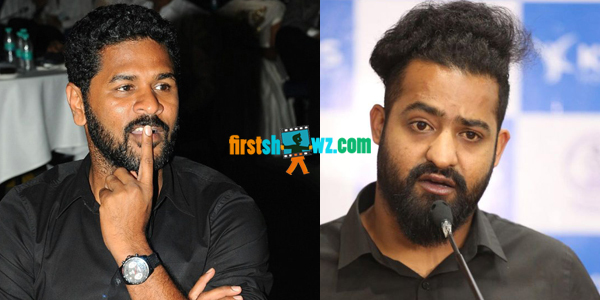 Home / News / Prabhudeva rejects Janatha Garage? There has been buzz earlier that Prabhu Deva has been approached for supervising choreography for a song in NTR's upcoming film Janatha Garage. However Prabhu Deva, who has been busy with the direction of Bollywood movies, has rejected the offer to dance choreograph NTR song. The makers have later approached Raju Sundaram, who has agreed to compose dance steps for NTR’s introduction number in Janatha Garage, which is composed by Devi Sri Prasad and will be shoot in Mumbai. NTR will be playing the role of IIT student in this commercial entertainer, while Samantha and Nithya Menon play the lead ladies. Janatha Garage is produced under Mytri Movies banner. Mohan Lal and Unni Mukundan are playing key roles.